Salt Lake Community College's Board of Trustees generally meets on the second Wednesday of each month except for May, July, December, and in the month of the annual trustee retreat; view the 2018-19 SLCC Board of Trustees meeting schedule for confirmed meeting dates and times. The roster of current members and Trustee Bylaws are listed below. For questions regarding SLCC Board of Trustees meetings, please call (801) 957-4227. 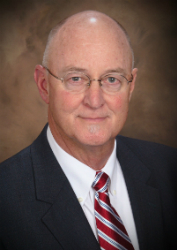 Clint Ensign serves as Senior Vice President for the Sinclair Oil Corporation where he has worked since 1984. He oversees government relations and represents The Sinclair Companies before the federal government in Washington, D.C., and state and local governments in the western United States. Ensign also handles other external corporate affairs responsibilities for the petroleum, hospitality, resort, and ranching interests of Sinclair. In 1994, Clint authored Inscriptions of a Nation, a compilation of the inspiring quotations found on the major historic memorials and public buildings in Washington, D.C., which was selected as "Editor's Choice" by the American Heritage magazine. 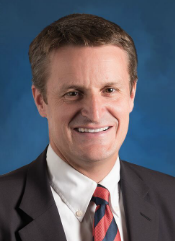 He received a Masters of Business Administration degree from the University of Utah, a Bachelor of Science degree in Finance from Brigham Young University, and has done graduate studies at Georgetown University and at Bowling Green State University. He and his wife Cindy are the parents of four children. Clint has served on the SLCC Board of Trustees since 2011, serving as Vice Chair from 2014-2017. He has led fundraising efforts for the College by chairing the Gail Miller Utah Leadership Cup tournament for five years. Clint also serves on the Public Policy Committee of the Association for Community College Trustees. Maria Farrington is the Executive Director of Holy Cross Ministries and has been a community leader for more than 20 years experienced in area not-for-profit organizations and schools. Prior to her role at HCM, she served as Chief Executive Officer of Discovery Gateway children's museum in Salt Lake City, developing a variety of partnerships to benefit and expand the museum. Her prior experience also includes seven years as Executive Director of the Eccles Annenberg Initiative in the Salt Lake City School District, Executive Director of Community Collaboration for the United Way of Salt Lake, and President and Executive Director of a program to bring needed educational services to county school districts in San Antonio, Texas. Maria received bachelor's degrees from the University of Houston in history and political science and attended the University of Utah for a Masters in Public Administration. She and her husband Bob are the parents of two sons. Maria was appointed to the Salt Lake Community College Board of Trustees in 2015 and serves as the board liaison to the SLCC Foundation Board where she has been a champion for fundraising activities associated with the College. She was elected as Vice Chair in 2017. 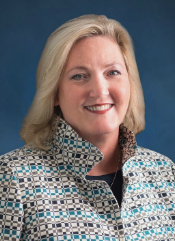 Lori Chillingworth is the Director of Enterprise Retail Banking for Zions Bancorporation. In this role, Lori provides leadership, direction and strategic development in support of Business Banking throughout the enterprise. She is responsible for the strategic development of products, services, training, and initiatives to support the vision, goals and objectives that promote Business Banking revenue, profitability and growth in affiliate banks. Lori was a member of the Executive Committee of the National Association of Government Guaranteed Lenders from 2007 to 2013 and has been recognized five times in U.S. Banker magazine’s “Most Powerful Women in Banking” issue, ranking among its “25 Women to Watch” list. She is the founding manager of the bank’s Women’s Financial Group when it launched in 1997. She is immediate past Chairman of the Board of Governors of the Salt Lake Chamber of Commerce and serves as Chair of the Executive Committee and Board of Directors for the Women’s Leadership Institute which she founded. Lori served on the SLCC Foundation Board from 2005 through 2013. She served on the Community Outreach committee, guided the Finance Committee, fostered growth in the Teaching Excellence Award, and oversaw the alumni scholarship awards. She served as Board Chair from 2008 through 2011. Lori was instrumental in expanding the foundation board membership, in building close relationships with the Board of Trustees, and with Zions Bank’s involvement to start the PACE (Partnership for Accessing College Education) program. Lori was appointed to serve a four-year term on the Salt Lake Community College Board of Trustees in 2017. Linda Luchetti serves as the vice president of basketball operations for the Utah Jazz. She began with the Larry H. Miller Group of Companies in 2005 and most recently worked as the executive vice president of corporate communications. 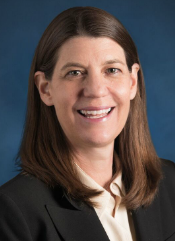 Prior to that, she served as the senior vice president of communications for Larry H. Miller Sports & Entertainment, directing communications and community relations efforts for the Jazz and Vivint Smart Home Arena, as well as the Salt Lake Bees, the company’s radio station, Fanzz stores, and Megaplex Theatres. Before joining the Larry H. Miller family, Linda handled public relations for the 2002 Olympic Winter Games in Salt Lake City, worked as press chief for the Olympic Stadium in the 1996 Olympic Games in Atlanta, and also worked in media relations at the Goodwill Games, the Pan American Games, the 2000 Olympic Games in Sydney and the 2004 Paralympic Games in Athens. Linda is a graduate of the University of California, Berkeley. Linda was appointed to serve a four-year term on the Salt Lake Community College Board of Trustees in 2017. 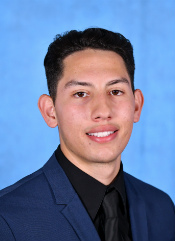 Alvaro Martinez Jr. is the Student Association President at Salt Lake Community College for the 2018-2019 school year. Alvaro became a member of Student Life and Leadership in 2016 as a Presidential Scholarship recipient. During his time in student government, he dedicated himself to learn from various leaders in the school and decided to take the opportunity to make a difference here at Salt Lake Community College as the Student Association President. His motto is “Be the Author of Your Own Story.” His motto represents his leadership style and his belief that every individual should have an opportunity to have an education. Alvaro was born in Michoacán, Mexico. He has two younger brothers and tries to set an example for future generations to follow. He moved to the U.S. when he was nine years old. He attended Hunter High School and graduated as a proud Wolverine. Alvaro’s passion to lead and help others comes from his own experience in being a first generation college student. His field of interest is Business Administration and Entrepreneurship and he has high hopes of inspiring others to succeed with their college educations and helping students find their passions in life. Tim Miller has been President/CEO of Echelon-Frontier, one of Utah's leading private biotech companies, since early 2002. In that role, he directs acquisitions, technology licenses, and product launches targeting pharmaceutical, agricultural, and industrial applications. Tim has been recognized by the US Small Business Association for job creation and commercialization and has deep experience in building Fortune 500 divisions and successful business start-ups and exits. In 2011, Tim was awarded with the Governor's Medal for Science and Technology. Tim is recognized as a venture entrepreneur and in 1999, established Angel Flight in Utah to provide free non-emergency medical air-transportation for those in need. In 2001 he started Santa Flight to deliver holiday packages to Utah children in need. He is a pilot, nationally recognized flight instructor, and periodically plays in a local blues band. Tim earned an MBA from the University of Utah. Tim was appointed to the Salt Lake Board of Trustees in 2015 and served as the board liaison to the UCAT board for two years. Shawn Newell is the vice president of business development at Industrial Supply Company. 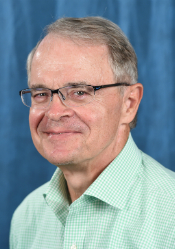 His motto is “Education is a path to success.” Employed by Industrial Supply Company for more than 20 years, Newell views his connection to customers as essential to understanding their needs. Shawn approaches his leadership role in sales with the same competitive spirit that drove him to succeed in football at the University of Utah. 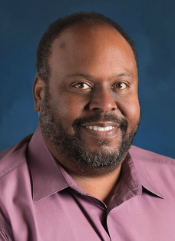 Shawn is the current Vice President of the National Association for the Advancement of Colored People Salt Lake Chapter, and he serves as a commission member for the Governor's Martin Luther King Jr. Human Rights Commission. He is also a certified sports conditioning specialist, certified strength coach, and sports official. Shawn recently started a scholarship for SLCC marketing students. He received his Associate of Science degree in marketing management from Salt Lake Community College, a Bachelor of Science degree in sociology from the University of Utah, and a Master of Management degree from the University of Phoenix. Shawn has served as a Program Advisory Committee member of SLCC’s Business Marketing department. Shawn serves on the Salt Lake Community College Board of Trustees as the president of the College’s alumni association. Brady Southwick is the Senior Vice President of Field Operations at Vivint Smart Home. Before joining Vivint, Brady served as the President of Cummins Rocky Mountain, a $400 million business that employs over 900 people, spanning nine Western states and the mining business in Central America. 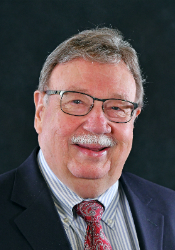 He was a key player in the development of the Diesel Technology Pathway program linking high school students with workforce training, SLCC, and a career in the industry. Prior to serving as President, he held numerous leadership positions within Cummins Inc. in Africa, Singapore and Beijing, China. Brady holds a Bachelor’s Degree in Political Science from Brigham Young University. He received master's degrees in Business Administration and Public Administration from Harvard University. Brady and his wife Kristen are the proud parents of four children. Brady was appointed to serve a four-year term on the Salt Lake Community College Board of Trustees in 2017. 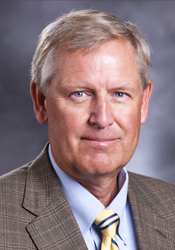 Jim M. Wall served as Publisher of Deseret News Publishing Company, Inc. from 2000 until 2010. Prior to that, Jim served as Executive Vice President and General Manager of the Denver Post. His career has been spent in many positions in the newspaper industry. Jim has been active in each of the communities where he has lived and worked, including The Church of Jesus Christ of Latter-day Saints, executive board positions with the United Way, local chambers of commerce, community economic development, college boards of trustees, Boy Scouts of America, theater, opera, and symphony boards and charitable organizations. He is a constant presence in the community and has participated on more than 20 Utah boards and committees. In 2004, Jim was honored as the American Heart Association's "Heart of Utah" recipient. He attended Washington State University for one year and later graduated from Brigham Young University with a degree in communications in 1972. Kim R. Wilson was born and raised in Cache Valley. He attended public schools in Preston, Idaho, and served as student body president of Preston High School his senior year. He is a graduate of the University of Utah (B.S. ’70) and is a graduate of the S.J. Quinney School of Law (J.D. ’73). He served a mission for his church in Eastern Canada (1965-1967) and served his country as an army JAG officer (CPT USAR 1967-1976). Upon graduation from law school in 1973, Kim accepted a position with one of Utah’s oldest law firms, Snow, Christensen & Martineau, which was founded well before statehood. He is a commercial litigator and continues as a senior lawyer with that firm. He has served his profession in various capacities including, by appointment of the Utah Supreme Court, many years as Chairman of the Ethic and Discipline Committee of the Utah State Bar with responsibility for regulation of Utah’s 10,000 plus lawyers. Kim has been involved in many civic causes and serves as founder and Chairman of the Board of Ensign Peak Foundation, Mormon Historic Sites Foundation, and Historic Holy Cross Chapel Foundation. He also serves on several other boards including the Clark Planeterium, Utah Symphony/Utah Opera, and the Days of 47 Rodeo Committee. Kim loves to read, travel, build wooden model ships, and dig postholes at his ranch in northern Utah. He is married to Gail Miller, and their blended family numbers 9 children, 42 grandchildren and 18 great-grandchildren. Gail Miller was born and raised in Salt Lake City, Utah. She is a graduate of West High School and attended the University of Utah. She worked at Mountain Bell Telephone Company from 1962 until 1970, and she lived in Colorado from 1970 to 1979 when she and her husband returned to Salt Lake City to start their own business. She organized a non-profit organization with the Jazz wives called "The Rest of the Jazz" to help women and children in jeopardy in the Utah area. She currently serves as Chairman of the Board of the Larry Miller Group of Companies. 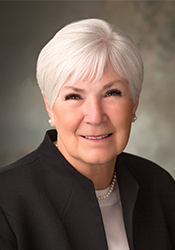 Gail served two terms on the Salt Lake Community College Board of Trustees from 2004 to 2017. She served as Vice Chair from 2011-2013 and as Chair from 2013-2017. She and her late husband Larry built and donated the Miller campus to SLCC in 2001 and she has been a tireless advocate for SLCC for many years. Gail has lent her name and commitment to the SLCC annual Gail Miller Leadership Cup golf tournament which raises scholarship funds for SLCC students. In 2008 Gail was awarded an Honorary Doctorate from Salt Lake Community College. In 2017, she was awarded the ACCT Pacific Region Trustee Leadership award and was recognized at the national conference. Gail's commitment to and influence upon the vitality and future of Salt Lake Community College are unprecedented. In honor of both her and her legacy to the College, she was awarded the designation of Trustee Emeritus in 2017. 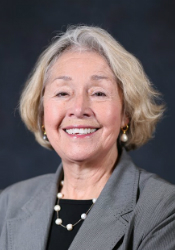 As Trustee Emeritus she will continue to champion the SLCC Mission, serve as honorary chair for the comprehensive campaign and continue her presence and involvement with the annual Gail Miller Leadership Cup Scholarship golf tournament. By-Laws of the Salt Lake Community College Board of Trustees (PDF).